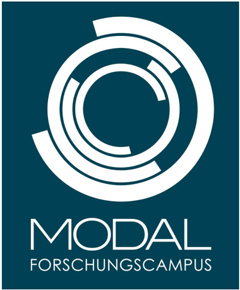 The Research Campus MODAL and CiT GmbH are glad to offer another workshop on modeling, simulation and parameter estimation of chemical reaction kinetics. The program combines lectures on scientific topics with introductory and advanced tutorials for CiT’s program packages Predici11. We are particularly glad that we could win Prof. Dr. Hungenberg as co-lecturer for this event. Using mathematical models requires several tasks and a typical cycle should be undergone until a satisfying solution is found: choice and development of a model– realization in software– analysis of simulation results – identification of parameters– analysis of the quality of the fit – generation of more data or change of the model. Only then a robust optimization of the process can be done. None of these tasks is easy to perform. Models can be difficult to create, set up and maintain and hard to solve. Parameter estimation often adds a level of complexity that leads to challenging difficulties. Sometimes reasonable and unique parameters cannot even be found, sometimes it remains unclear, whether and why the whole model is or is not appropriate for the tasks under consideration. The workshop describes the related techniques and addresses participants from industry and academia involved in the modelling and process optimization of chemical and polymerization kinetics. The workshop will present new and exemplary structures and will lead a way to further studies. will receive a time-limited, full working educational version of Predici for the exercises. 450 € + VAT for members of academic institutions. patzelt-schuette@zib.de, Tel. +49 30 84185 274. Klaus-Dieter Hungenberg has been Vice President Polymer Reaction Engineering at BASF SE until his retirement in 2013. In 2012 he received an Honorary Professorship at the University of Paderborn. He is (co-)author of more than 100 scientific articles and patents. Christof Schütte is the president of the Zuse Institute Berlin and professor for mathematics at the Free University Berlin. His research area is Scientific Computing with a strong focus on application problems from the life and material sciences. Michael Wulkow founded the company Computing in Technology (CiT) in 1992 and since then has been involved in projects, research and numerous publications on the modeling and numerical treatment of processes in technical chemistry, biology, particle technology and pharmacokinetics. There will be two coffee breaks and a lunch break every day.